Hypertension is the most common medical problem encountered during pregnancy, complicating 2-3% of pregnancies. Preeclampsia – gestational hypertension and persistent proteinuria ≥ 1+ on dipstick urine analysis or >300mg/24 hours occurring >20 weeks pregnancy in a previously normotensive, non proteinuric woman. Oedema is not a defining sign of PE. A higher incidence is seen in women with age > 40, nulliparity, family or prior pregnancy h/o PIH, past h/o diabetes mellitus, chronic hypertension, renal disease, antiphospholipid syndrome, and present pregnancy with multifetal gestation and vesicular mole. If not recognized and managed appropriately, preeclampsia can result in complications such as eclampsia, hypertensive encephalopathy, pulmonary edema, liver haematoma/rupture, renal failure, ARDS, HELLP syndrome, disseminated intravascular coagulation, cortical blindness. Roll over test at 28 -30 wks: increased blood pressure of 20 mm Hg when patient rolls over from lateral to supine position means a positive test. The test has a high negative predictive value although the positive predictive value is low. If the facility for colour doppler is available it can be performed at 24-26 weeks: Persistence of diastolic notching in uterine artery after second trimester can be predictive of preeclampsia. Low dose Aspirin (50-100mg/d) may reduce the risk of PE by 15%. It can be started in high risk at 20 weeks and has to be stopped at 34 weeks gestation. The patient should be transferred to higher centre as soon as a diagnosis of preeclampsia is made. However, if the patient presents with eclampsia/impending eclampsia, she should be started on MgSO4 and anti hypertensive (described later) and transferred after stabilizing. Complete general physical and systemic examination should be carried out including record of maternal weight, BMI, pulse, B.P in all four limbs, and testing of limb reflexes (presence of hyper-reflexia indicates impending eclampsia). Assess for presentation, fetal heart rate, estimated fetal weight, IUGR and accidental hemorrhage in severe cases. Per-vaginal examination may be done if patient is complaining of pain abdomen, or if termination of pregnancy is decided. Referral Criteria – All cases of severe PE and threatened eclampsia should be referred to situation 2 following the initial management and stabilization, as the clinical course of these patients is unpredictable and may necessitate maternal and fetal intensive care and monitoring. Mild – Hospitalization is advised although complete bed rest is not advisable. Severe- Immediate hospitalization is recommended if BP ≥ 160/100 or alarm signs. If the results of all fetal monitoring are normal, cardiotocography need not be repeated more than weekly unless if there is deterioration in maternal condition, vaginal bleeding, abdominal pain, or reduced fetal movement. Repeat ultrasound for fetal growth, amniotic fluid volume assessment or umbilical artery doppler velocimetry is also not required more than every 2 weeks. Diet should be adequate in proteins; salt restriction is not advised in Preeclampsia. It can be initiated if DBP >100 mm Hg. Lower threshold may be considered if disease has arisen before 28 wks. Aim is to keep DBP between 80–100 mm Hg, and SBP less than 150 mm Hg. In mild PE, it reduces the occurrence of severe hypertension, but there is no benefit in terms of maternal & fetal outcome. In severe hypertension therapy is mandatory to reduce the risk of CVA. • Tab. Methydopa -250- 500 mg 3-4 times /day. • Labetalol: IV regimen: 20 mg stat. If DBP>110 after 20 min, give 40 mg; ↑ to 80 mg & then 80 mg to a total of 220mg. If no response, discuss with senior physicians and anaesthetists. Consider giving intravenous magnesium sulphate to women with severe pre-eclampsia who are in a critical care setting if birth is planned within 24 hours. Mild to moderate PE: Terminate at 34+0 to 36+6 weeks depending on maternal and fetal condition, risk factors and availability of neonatal intensive care. Two doses of betamethasone 12 mg IM 24 hours apart are recommended between 24- 36 weeks. • Accurate recording of fluid balance (including delivery and postpartum blood loss, Intake/output chart) and Maintenance crystalloid infusion – 85 ml/hour, or urinary output in preceding hour plus 30 ml. Diuretics and CVP monitoring may be required if pulmonary oedema is suspected. • Measure blood pressure, hourly in women with mild or moderate hypertension and continually in women with severe hypertension. Continue use of antihypertensive treatment during labour. • Use of Methergine is contraindicated for active management of 3rd stage. Ceasarean Section is indicated for severe IUGR/ primi remote from term with unfavorable cervix, for fetal distress or other obstetric indications. Thrombo prophylaxis to be considered in severe PIH. • GA Risks: – Aspiration, laryngeal edema, difficult intubation, pulmonary edema/ arrythmias precipitated by pressor response to intubation, neuro-muscular blockade effect of mag sulf. • Continuous lumbar epidural preferred method of pain relief as well as for cesarean section provided there is no coagulopathy and platelet count is > 50,000/cu mm. Women with PE who did not require anti-hypertensives: Measure BP at least four times a day while the woman is an inpatient, at least once between day 3 and day 5 after birth, and on alternate days thereafter until normal. Ask about severe headache and epigastric pain each time blood pressure is measured. 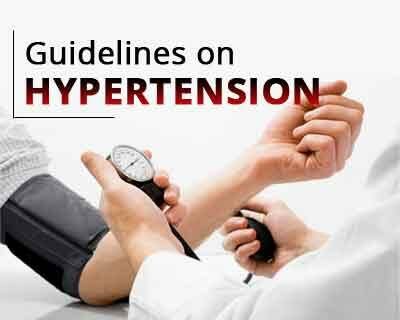 Start antihypertensive treatment if blood pressure is ≥ 150/100 mmHg. Women with PE who took antihypertensive treatment: Measure BP at least four times a day while the woman is an inpatient and every 1–2 days for up to 2 weeks after transfer to community care. Continue antenatal antihypertensive treatment, and reduce it if BP falls below 130/80 mmHg. If a woman has taken methyldopa to treat preeclampsia, stop within 2 days of birth, measure platelet count, transaminases and serum creatinine 48–72 hours after birth. Discharge the women when there are no symptoms of pre-eclampsia, BP is ≤ 149/99 mmHg, with or without treatment, and blood test results are stable or improving. All women who have had pre-eclampsia should have a medical review 6–8 weeks after birth to detect those women who still need antihypertensive treatment. Women who continue to have proteinuria (≥1+) a further review is required after 3 months to assess kidney function. Specific investigations like aPLa, LAC and thrombophilia screen may be needed. Antepartum 40%, Intrapartum 20%, Postpartum 40%. Although seizures may occur as long as 3 weeks postpartum, majority of cases (98%) occur on the first day. All cases of eclampsia are best managed at situation 2 or 3. If a woman with eclampsia is seen at situation 1, she should be stabilized with Magsulph and antihypertensives and transferred to higher centre only when stable and with full life support system, to limit maternal and fetal morbidity. Immediate care is needed with airway support, adequate oxygenation, anticonvulsant therapy, and BP control. Delivery of neonate is the only definitive treatment, with Intensive postpartum care. • Prevent maternal injury: Place in semi-prone position, guardrails on the bed, padded tongue blade b/w teeth. • Airway: Maintain patency, start oxygen inhalation, suction of mouth secretions. • Breathing: Assess, Ventilate as required. • If seizures continue despite a further bolus of Mg sulphate, Diazepam (10 mg IV) or thiopentone (50 mg IV) can be given. Intubation may become necessary in such women. Further seizures to be managed by IPPV & muscle relaxation. Stop MgSO4 infusion, Give Calcium gluconate (10 ml slow IV), Intubate and ventilate. • Reduction of severe hypertension is mandatory to reduce the risk of CVA & further seizures. • Insufficient evidence to recommend one antihypertensive in preference to another and so the choice of which drug to use should depend on personal preference and availability. • Labetalol (20mg IV ↑ to 40 and 80mg every 20’ to max. 220mg) It may precipitate fetal distress, thereby necessitates continuous fetal heart rate monitoring. • Close monitoring of fluid intake and urine output is mandatory. Fluid therapy should be limited to maintenance crystalloid (85ml/h or urine output in preceding hour plus 30ml) to avoid tissue overload, pulmonary edema & ARDS. Colloids remain in vascular tree and unless used carefully can cause circulatory overload. • The definitive treatment of eclampsia is delivery. • Attempts to prolong pregnancy in order to improve fetal maturity are unlikely to be of value. • However, it is inappropriate to deliver an unstable mother even if there is fetal distress. • Once seizures are controlled, severe hypertension treated, and hypoxia corrected, delivery can be expedited. • After delivery, high dependency care should be continued for a minimum of 24 hours. Vigilant ANC & a well-timed delivery may prevent eclampsia, and Magnesium is routinely given to women with severe PE in the expectation that it prevents progression to eclampsia, but fits which occur without warning may be impossible to prevent. Thank you Sir. Really helpful.